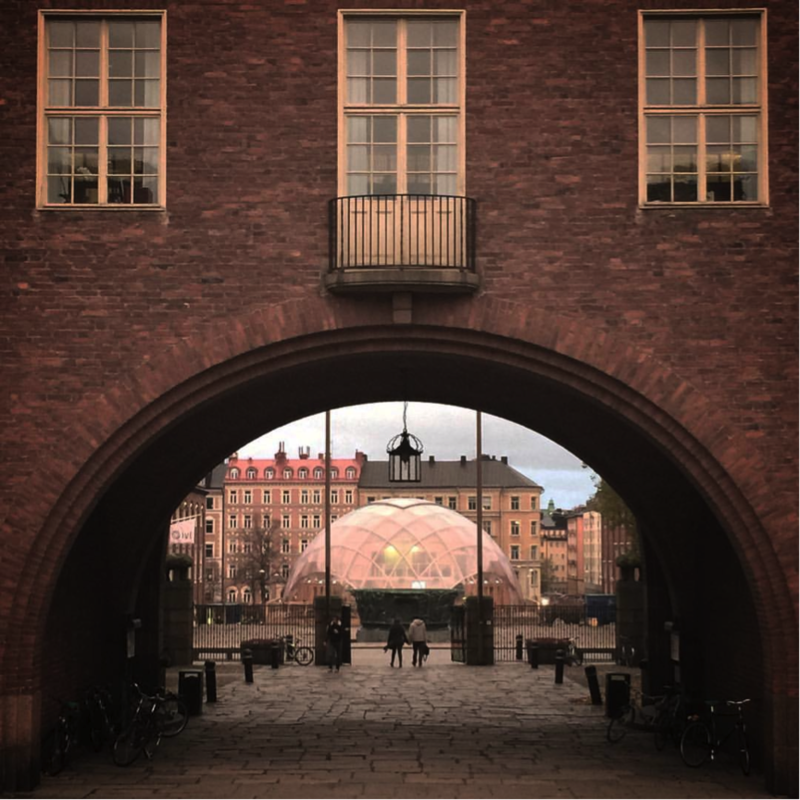 Our artistic director and curator Gry have just returned from her second trip to Stockholm and this time also Uppsala aiming at deepening and unfolding the Dome of Visions DK / Dome of Visions SA further. The trip amongst other included an extensive meeting with the curator of Dome of Visions SE Björn Nordberg, which encompassed a working dinner with his family in his residency in Uppsala. Content wise our collaboration and unison evolves around our up-and-coming seminar on City cracks and spaces-in-between on 4/12. 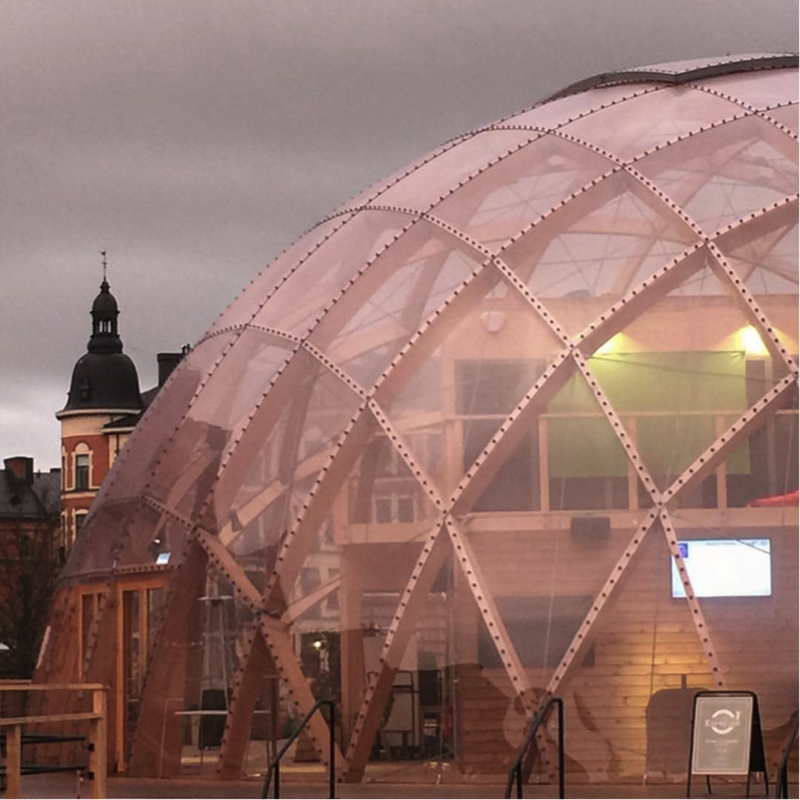 This theme is at the thematic root of the Dome of Visions and was among initiated with the global urban network Theatrum Mundi instigated by amongst other Richard Sennett and Saskia Sennet who also visited the Dome when we were first located at Krøyers Plads back in 2013. DOME-TO-DOME x City cracks and spaces-in-between 4/12 on Facebook, at site, invite as pdf. Furthermore, Gry did a TEDxtalk on Sensuous learning and had a little time to visit the Uppsala sites recommended by Björn – here within the Gustaviarium which includes an old ‘medical theatre’ architectonically inspired by the amphitheater and the worldknown Uppsala cathedral. Above a picture-potpourri from Gry’s second trip to Stockholm/Uppsala to deepen and unfold the Dome of Visions DK / Dome of Visions SE relationship and work collaboration further. Our architect Kristoffer Tejlgaard visited our sister-Dome in Stockholm last week and took the photos above. Photos: Kristoffer Tejlgaard.